The countdown has begun for the summer cruising season in Australia. It is set to be one of the biggest yet. Among the ships that will be based in Australian waters during the coming 2016-17 cruising season is Emerald Princess, one of the biggest ships in the Princess Cruises fleet. Emerald Princess will make its Australian debut in Fremantle on November 8, visiting Busselton and Melbourne before arriving in Sydney for its inaugural five-month season of cruising from our biggest city. Highlights include Share by Curtis Stone, a 125-seat restaurant that is one of more than a dozen dining options on the ship. Guests will also be able to enjoy the on-board musical Magic to Do and the new Voice of the Ocean singing competition. Also coming to Australia this coming season will be Royal Caribbean's recently launched high-tech ship Ovation of the Seas, which will arrive in our waters in December and will cruise from Sydney. It'll be joined by four other Royal Caribbean ships: Voyager, Explorer and Radiance of the Seas, which will all cruise out of Sydney, and Legend of the Seas, which will homeport in Brisbane. 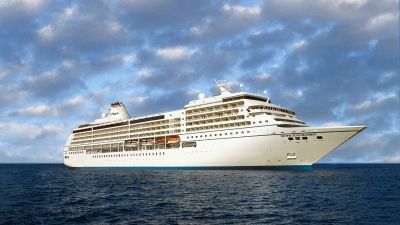 Meanwhile, Norwegian Cruise Line's Norwegian Jewel begins its inaugural Australian season in October and will be based in Sydney, and Seabourn will send its new luxury ship Seabourn Encore to Australia in January as part of the vessel's first cruise season. Other major cruise lines offering Australian voyages in the coming season include Azamara Club Cruises, Carnival, Celebrity, P&O Cruises Australia and Cunard.